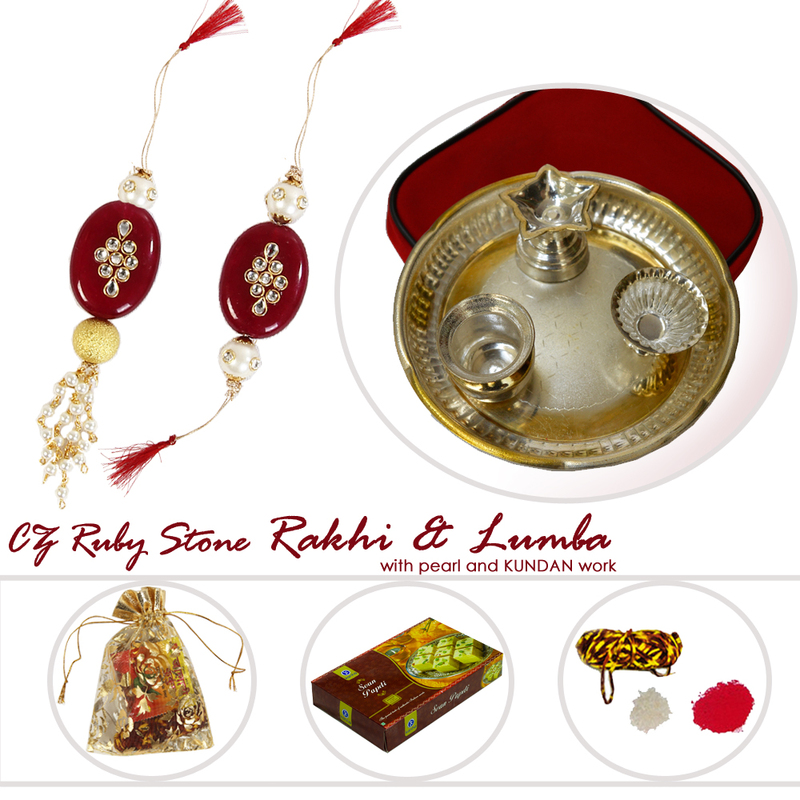 Sisters can definitely make their brothers feel special with this combo of Designer Rakhi & Lumba with Delicious Sohan Papdi on the auspicious occasion of Read More..Raksha Bandhan. 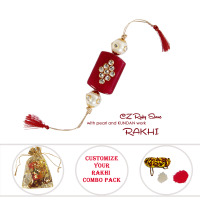 The designer Rakhi sports quality design, which suits its immensely significant role as a bridge between the siblings far away from each other. 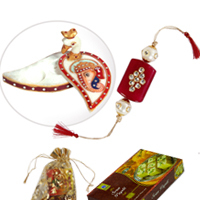 The delicious Sohan Papdi that comes as part of the combo is ideal for satiating one’s appetite for something sweet on such traditional occasions. 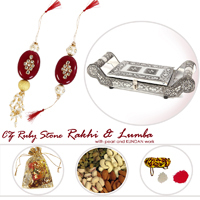 Moreover, the Designer Rakhi, Lumba with Delicious Sohan Papdi combo also includes Roli Moli and Chawal to make it the ideal choice to send to brothers for this special day. Show Less..